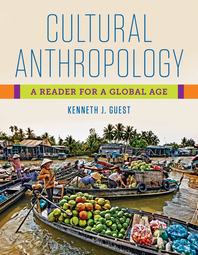 Cultural Anthropology - Description | W. W. Norton & Company Ltd. Readings that will make your course come alive. Best-selling author Ken Guest presents the essential readings and diverse voices that will help students understand their rapidly globalising world. This concise, affordable reader is designed to complement any introductory syllabus and is the perfect companion to Guest’s market-leading texts. Essential tools for living in a multicultural and global age.